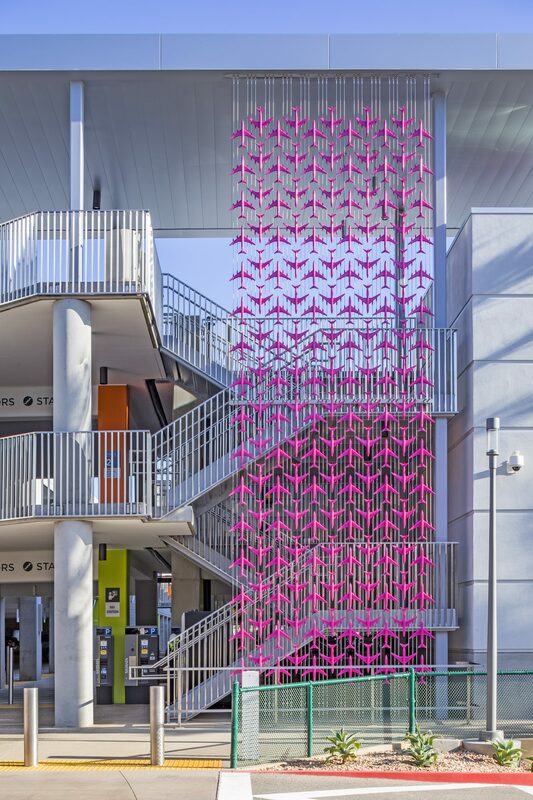 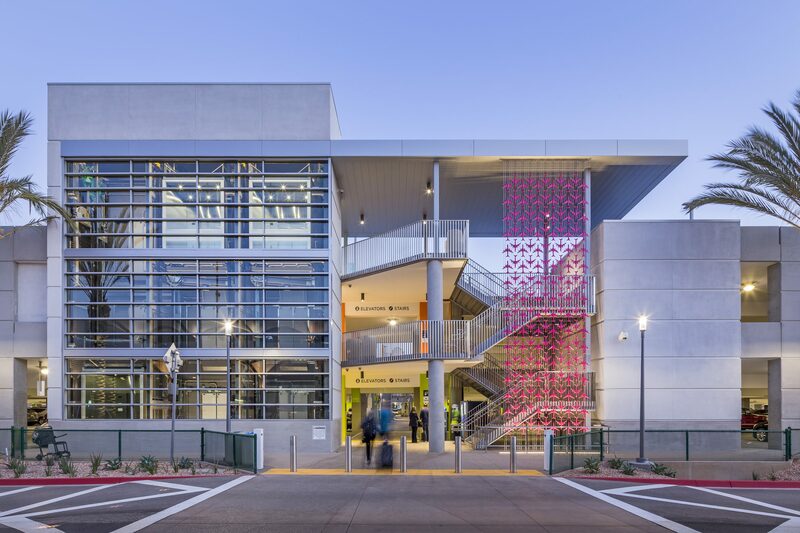 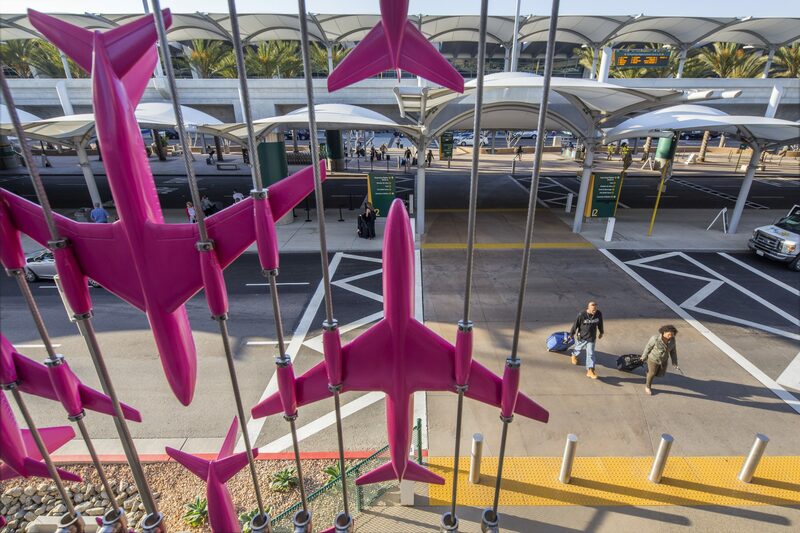 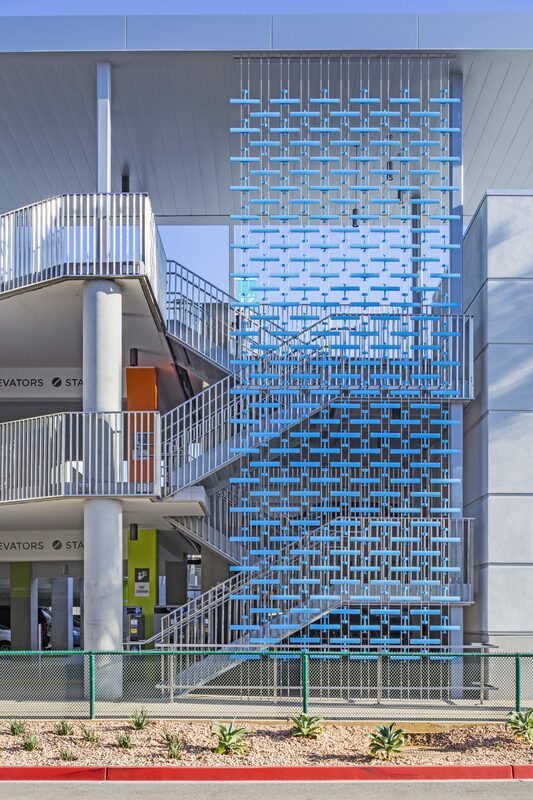 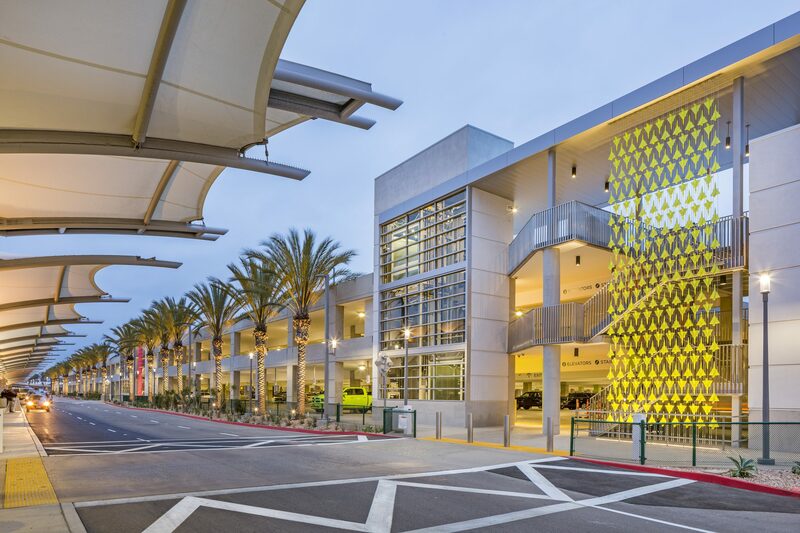 Mark Reigelman’s Formation punctuates the façade of San Diego International Airport’s parking structure with vibrant colors and energetic patterns. 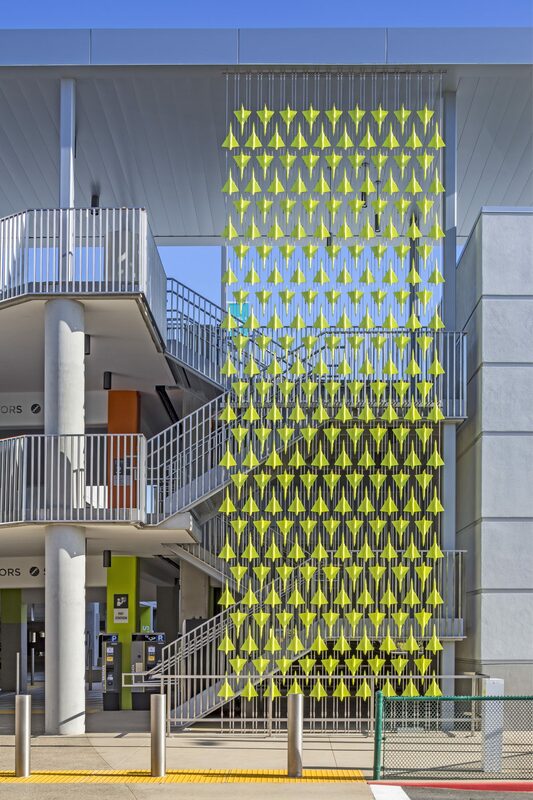 As travelers exit the airport terminal they are confronted by massive graphic tapestries on the adjacent parking structure. 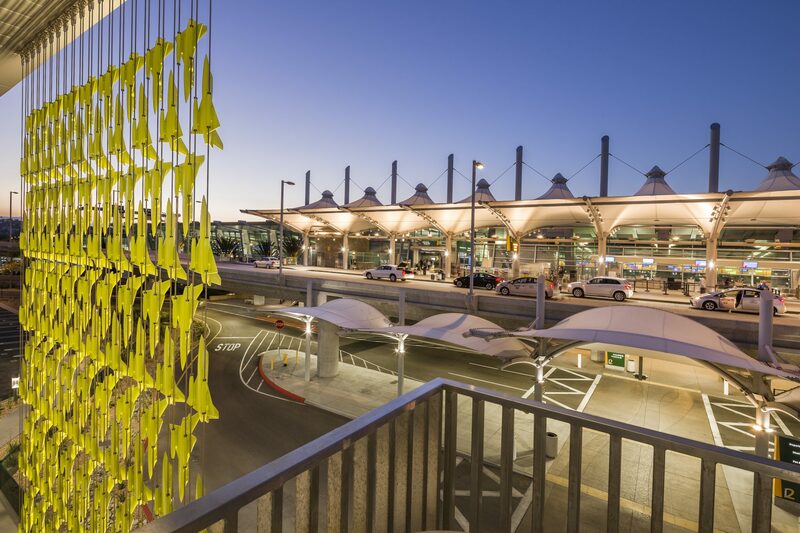 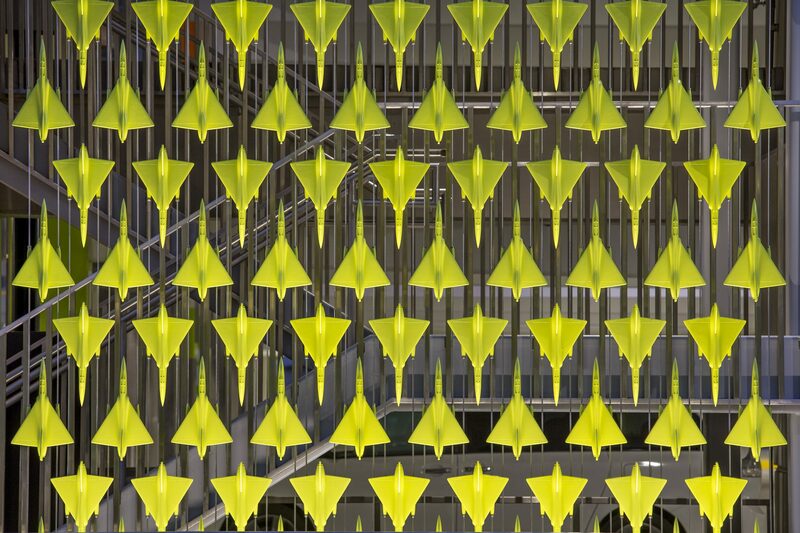 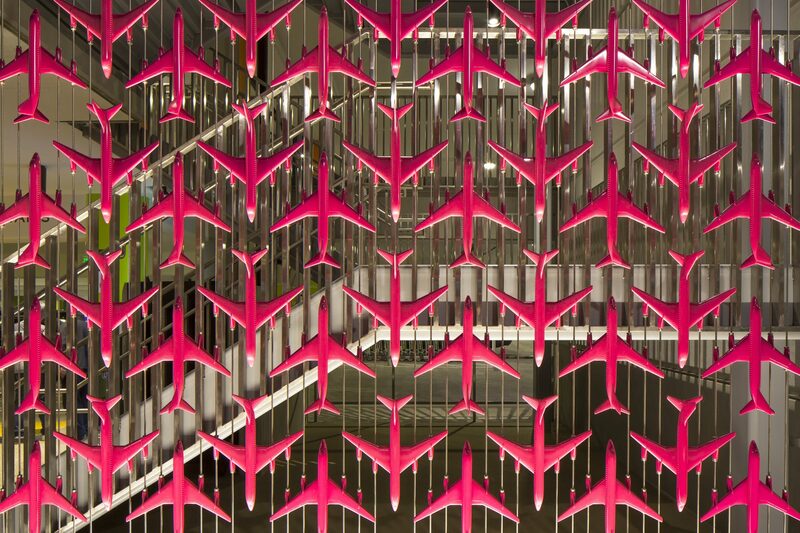 Upon closer inspection, travelers find that each of the three screens that make up the work are composed of hundreds of individually-cast resin airplanes meticulously strung onto stainless steel aircraft cables. 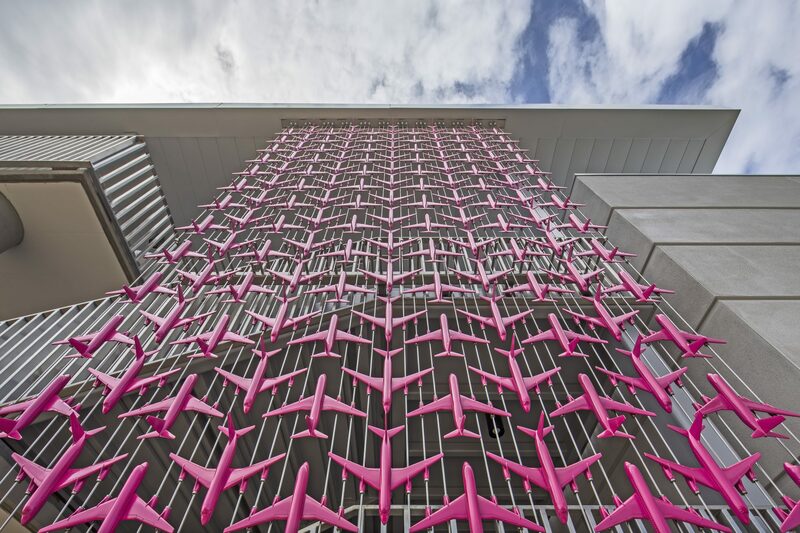 Formation is uniquely site-specific, in that it weaves together the histories of aeronautical innovation in the region through the specific aircraft models represented with the fiber arts and crafts traditions of indigenous peoples of the American Southwest.